Moose is an unincorporated community in Teton County, Wyoming, United States, in the Jackson Hole valley. 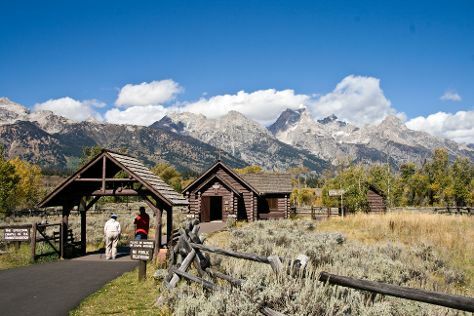 Spend the 8th (Mon) surrounded by wildlife at Grand Teton. There's lots more to do: cruise along 42-mile Scenic Loop Drive, steep yourself in history at Mormon Row Historic District, explore and take pictures at Signal Mountain Summit Road, and stroll through Jenny Lake Trail. For where to stay, ratings, more things to do, and other tourist information, use the Moose road trip planner. Minneapolis to Moose is an approximately 4.5-hour flight. You can also drive. You'll gain 1 hour traveling from Minneapolis to Moose due to the time zone difference. Traveling from Minneapolis in July, plan for much colder nights in Moose, with lows around 44°F. Finish your sightseeing early on the 10th (Wed) to allow enough time to travel back home.